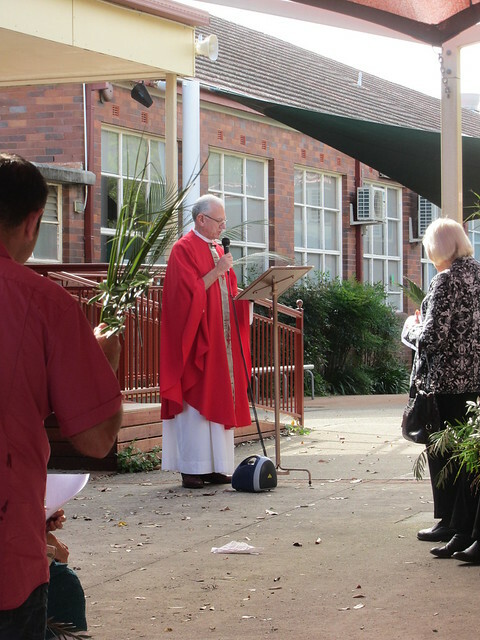 We have recently celebrated again the liturgies of Holy Week and the Easter Triduum. The first of these was the celebration of Palm Sunday. The full title of this day, as provided in the Missal, shows us exactly what we celebrate on this day. Palm Sunday of the Passion of the Lord invites us all to celebrate not only the triumphant entry of Christ into Jerusalem, but also the events of the days that followed; his passion and death. 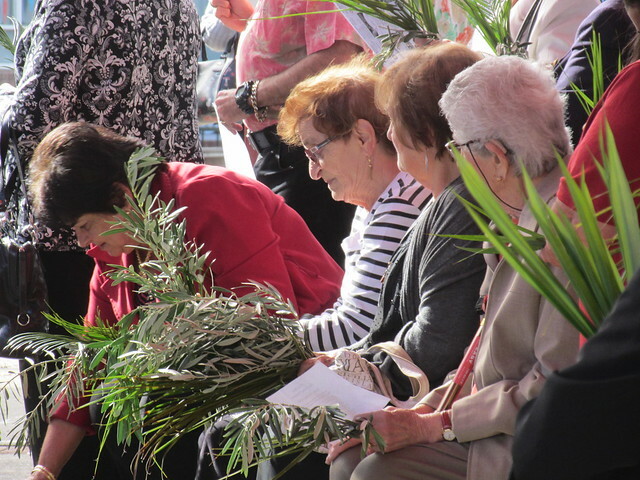 It is in the Introductory Rites of the Mass for Palm Sunday that we celebrate the actual ‘Palm Sunday’. This can take the form of a procession at the principal Mass of the Sunday (as it does here at 9:00 am), or with a simple or solemn entrance (as we celebrate from the narthex) at the other Masses of the Sunday. We begin with the antiphon that quotes directly from the gospel, “Hosanna to the Son of David…” (Mt 21:9). We bless the palms (or olive branches or other greenery) that we will use and take home with us. We listen to the account of Jesus’ entry to Jerusalem from the gospels, and then proceed into the church “like the crowds that acclaimed Jesus in Jerusalem.” Song is an important part of the entrance and procession. Finally, I would like to echo Fr Paul’s words of thanks to those who were involved in the celebrations of Holy Week and the Easter Triduum.